Pareo factory in Bali Indonesia. Sarong pareo supplier and producer in Bali. Sarongs made of rayon fabric handmade by batik artists. Wholesale company exporting batik sarongs worldwide to many sarong beachwear shops around the world. 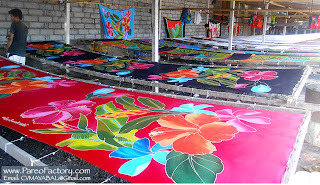 Bali batik sarongs factory and manufacturer. Pareo sarongs supplier. Pareo factory in Bali. Sarongs pareo manufacturer in Bali. 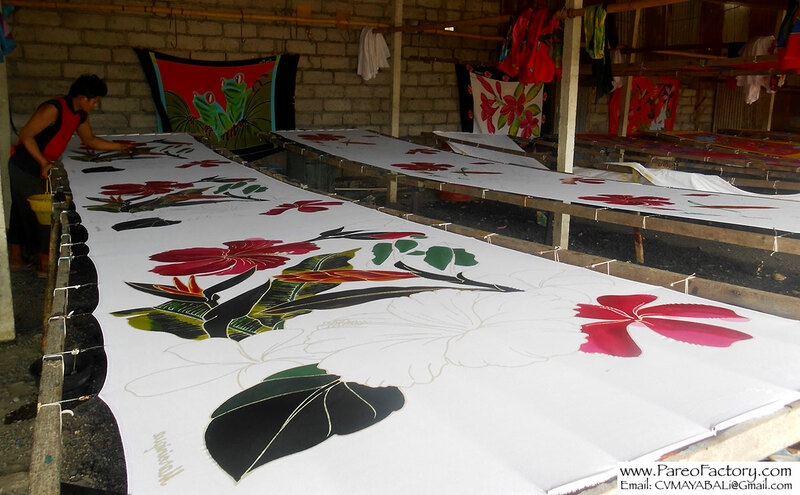 We're able to produce and export many kind of sarongs pareo. Handmade using rayon fabric and quality dyes. Buy sarongs wholesale and enjoy quality sarongs. As seen in many beaches around the world. We have years of experience in producing sarongs pareo made of rayon textile. We're able to supply you with the following kind of sarongs and pareos. All made of 100% rayon fabric, not cotton or other kind of fabric. Photos of sarongs factory in Bali. You're welcome to contact us regarding your inquiry for Bali sarongs. We give quick response. Our email address is listed on each of the photo below. Sarong Pareo Factory in Bali. Simple theme. Powered by Blogger.